Who says that progressive rock can`t be fun and funny? Certainly not Spock`s Beard. The Beard came into Chicago and put on a show that thoroughly amazed, amused and entertained. Even before the band played a note you knew that this was not your typical full-of-themselves progressive rock band. This was a band that was out to enjoy themselves. Frontman Neal Morse came out with a video cam, scanned the crowd with it, and handed it to a fan in the front, along with a five-second lesson on how to run it. The band served up favorites from their first three albums as well as songs from the latest album, "Day For Night." They played difficult arrangements with a tight precision that is almost unbelievable. The vocal harmonies that this band does are worlds above anything that I have seen any other group do. This show made it clear why many think of this band as the best of the new prog outfits. Although a little of the material was rather poppy (but still very enjoyable), prog was the order of the night. In fact, when talking about "Skin", frontman Neal Morse asked "We are allowed to do pop, aren`t we?" After which he laughingly added "Maybe we shouldn`t take a poll." Keysman Ryo Okumoto had a "keytar" solo that saw him wandering through the audience. He even did part of the solo rolling on the floor among the front section of the crowd. Chronic feedback plagued "The Distance to the Sun," but in good humor the band stopped the song in mid-verse, waited for the engineer to solve the problem, played an impromptu country tune in the interim, and picked the song back up where they left off. The song may have been best served played later in its entirety, but given how they handled the sound problem, that's a minor point. Some bands have ended the show for much less. Highlights were the band's impeccable playing of "Crack the Big Sky," the acoustic guitar interlude between Neal and Alan Morse during "The Doorway" (which included some classical snippets), an abbreviated version of Genesis' "Squonk" with drummer Nick D'Virgilio singing lead (and Neal Morse playing drums), and the band's stellar harmonies. The crowd was thoroughly entertained. Please, do yourself a favor and get out to support these guys. You will definitely not be disappointed. 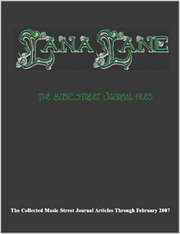 This review is available in book format (hardcover and paperback) in Music Street Journal: The Early Years Volume 6 at lulu.com/strangesound. 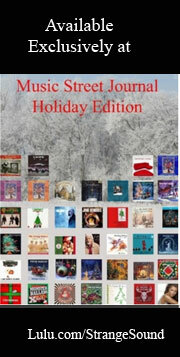 You'll find an audio interview of this artist in the Music Street Journal members area.